RVnGO is America's best marketplace to find RVs to rent in Massachusetts. Find your RVnGO! 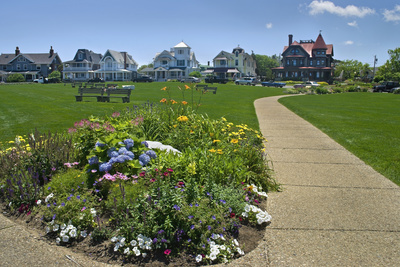 Pilot your Massachusetts RV rental down to Cape Code and hop on a ferry to the iconic New England summer vacation spot of Martha's Vineyard. A wooded island with sandy beaches around the perimeter, it has quaint little towns, some with Victorian houses, and lots of things to explore. RV campers make sure to check out the major hub of Oak Bluffs which has the oldest operating Flying Horses Carousel in America, it was brought here in 1880. Don't miss the bi-plane rides and Jaws filming hotspots around the island, where you can still catch it on the big screen a few days a week! An artist's heaven, a trip to the Museum center of Fine Arts is an absolutely must if you plan on stopping in Boston. Built in 1876, boasting an amazing collection of nearly 500,000 pieces of art, it is one of the most comprehensive art museums in the world. From Egyptian exhibits to contemporary pieces, The Museum of Fine Arts is open every day except for major holidays. Steer your RV rental in Massachusetts to Topsfield and visit the Parson Capen House. The Parson Capen House, built in the late seventeenth century, is the finest surviving example of Elizabethan architecture in the U.S. It was made a National Historic Landmark in 1960. The house is open to the general public each Sunday, Wednesday, and Friday, from June 15 to September 15. There are docents accessible who can share details on the history of the house and the region. Many RVers traveling in their RV rentals to Worcester stay at the Pine Acres Family Camping Resort. Located in the town of Oakham, which is around 30 minutes from Worcester. Pine Acres Family Camping Resort will amaze you with its various services. It has 260 accessible spaces, 150 of which are full hookup spots with BBQ flame broils, fire rings, tables, and space for slideouts. Amenities also include water sports at Lake Dean, a heated pool, water umbrella, game room, nature trails, play area, horseshoes, bicycle rental, mini golf, recreational hall, lunchroom, restaurant, wi-fi web access and satellite TV, RV stockpiling and supplies, laundry rooms. Situated between Boston and Cape Cod, Normandy Farms Family Camping Resort is a great location if you want to spend lots of time in Boston and Cape Cod. It is a family-oriented RV campground with 283 accessible spots, 229 of which are full hookup spaces with flame rings, tables, yards, BBQ barbecues, and space for slideouts. Services include a heated pool, play area, whirlpool, game room, frisbee golf, recreational lobby, fishing, practice room, outside games, shuffleboard, arranged activities. Visitor amenities also include wi-fi web access and digital TV, lunch room, goods, fishing supplies, RV stockpiling, restrooms and showers, and laundry rooms for your next RV rental trip to Massachusetts. Stop season is from April 1 to November 30 for a trailer rental Massachusetts. The oldest dragon festival in the nation, The Boston Dragon Boat Festival is held each year in early June. More than 75 groups from all over the country join this event. It is celebrated on the banks of the Charles River in Boston and Cambridge. It highlights dragon boat races, cultural dances, an artworks exhibition, crafts, martial arts demonstrations, musical performances, food vendors, and a festival dinner. The Whaling City of New Bedford, Massachusetts hosts what is hailed as the largest annual ethnic festival in the region. For more than a century the greatest Portuguese feast in the world has been going strong. An annual New Bedford tradition, it takes place at the beginning of August for 4 days. RVers will delight in the carnival midway, 5K road race, a 40-foot barbecue pit, parade, entertainment on 4 stages, and of course, food at the Feast of the Blessed Sacrament. From the middle of June to the beginning of September, the Tanglewood estate in Stockbridge and Lenox is home to the Boston Symphony Orchestra. Set in the idyllic Berkshire Hills, music fans will appreciate the natural surroundings will enjoying performances throughout the summer at this musical landmark. Tanglewood Music Festival features BSO and other big names from the classical, rock, folk and pop genres. Massachusetts, otherwise called the "Sound State", is loaded with so many fun events that every trip is memorable! Look at the RV rentals to Massachusetts on RVnGO so you can enjoy a great get-away in Massachusetts. Much thanks to you for selecting RVnGO for your Massachusetts RV rental!